Home » News » Uncategorised » Cambridge Calais sleepout raises over £10,000! Cambridge Calais sleepout raises over £10,000! The Big Cambridge Calais sleepout has raised over £10,000 thanks to your generosity and support. 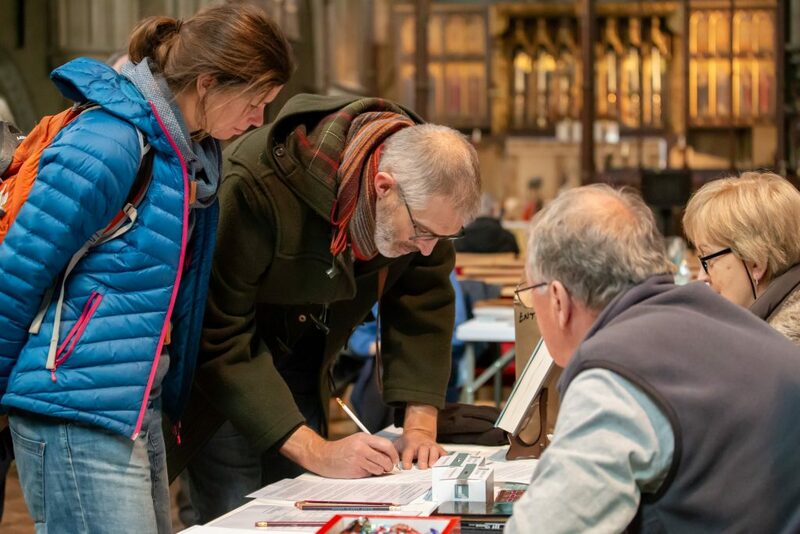 Last Saturday over 20 volunteers slept in and outside St Giles in Cambridge to raise funds and awareness for refugees in northern France the homeless of Cambridge. Members of the public sponsored the volunteer sleepers online, with more donations coming at the Winter Fair during the afternoon. The funds raised will be split between CamCRAG and The Whitworth Trust. 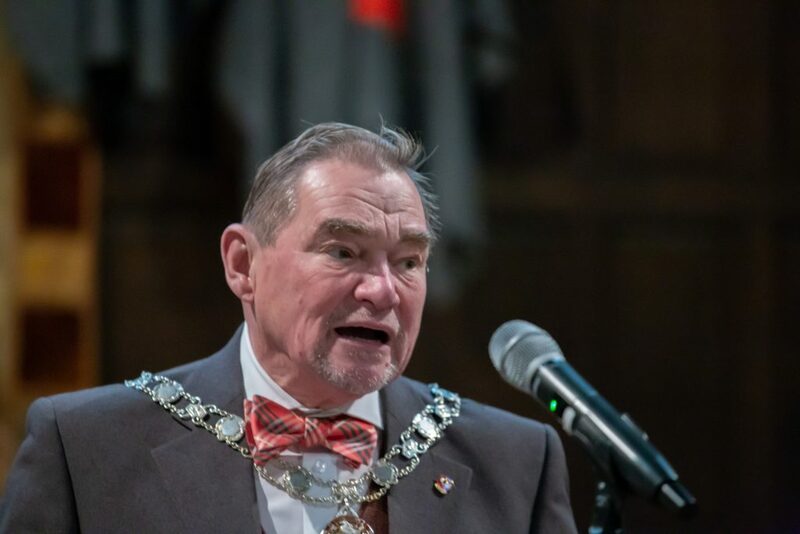 After browsing stalls selling CamCRAG’s ponchos, cakes and other gifts, attendees heard speeches from Douglas de Lacey (Chair of South Cambridgeshire District Council), Elliot Harris (Chair of CamCRAG) and representatives from The Whitworth Trust and Refugee Community Kitchen. 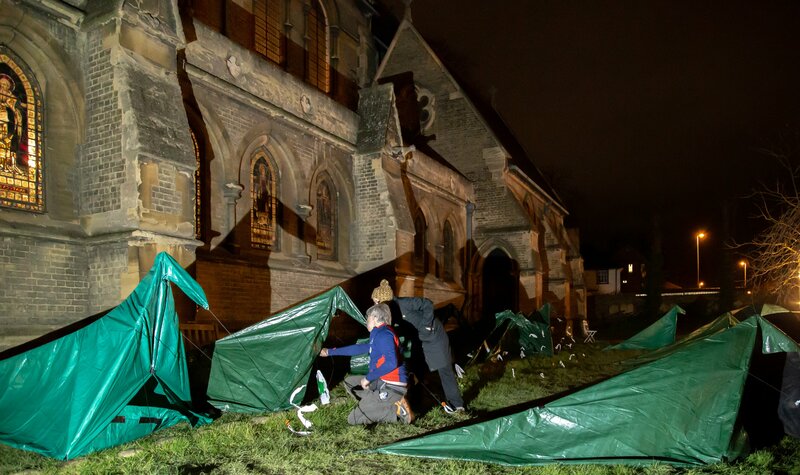 After an evening meal together in the Church, the sleepers then settled down for a cold and windy night, some of them in tents designed by CamCRAG’s SOS Tent Project. Thankfully they all made it through to Sunday morning, raising much needed funds in the process.